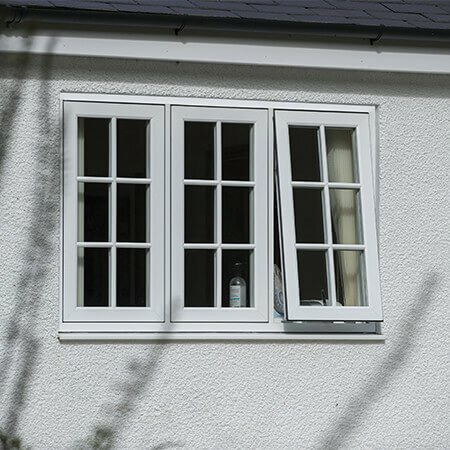 Our Tilt and Turn window offers an excellent solution for many new build and refurbishment projects and is available in a variety of styles and options to complement any home. The Tilt and Turn range features a dual opening mechanism for security, safety and practicality. By twisting the handle to 90 degrees, the sash tilts inwards to provide gentle ventilation; when turned to 180 degrees the side hinges engage to enable the window to be fully opened for ease of cleaning or fire escape. With looks that will last, seamless sightlines and ease of installation, this is the professionals’ choice. Plain, pseudo casement and dummy transom styles are available with many options and accessories relating to glass design, performance, colour and ironmongery. 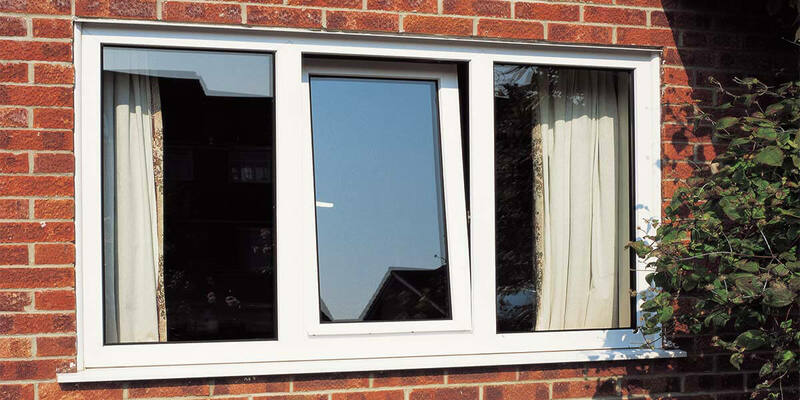 Security is not compromised either, Tilt and Turn windows can be fitted with a variety of hardware and locking options and also conform to BS 7950 high security status. 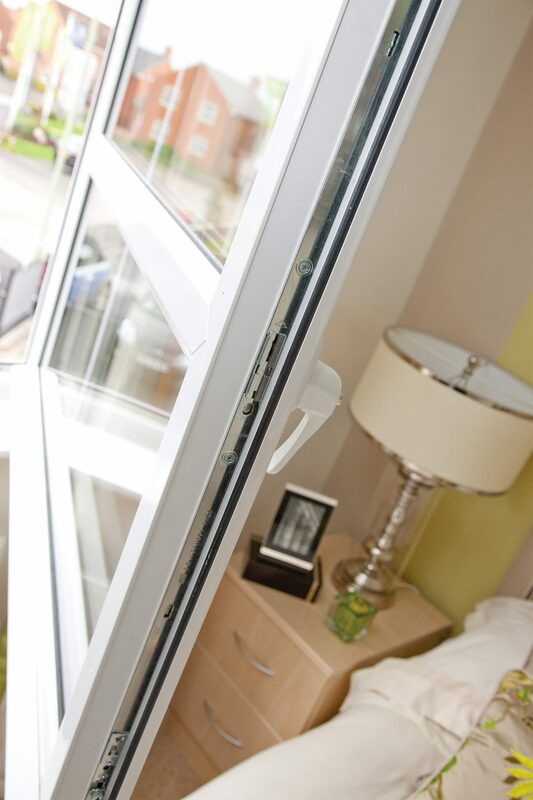 Your security is of paramount importance to us, and that's why our windows conform to all British safety standards. Additionally, our windows not only meet the requirements for the Secured By Design initiative, they exceed them by a further 50%. 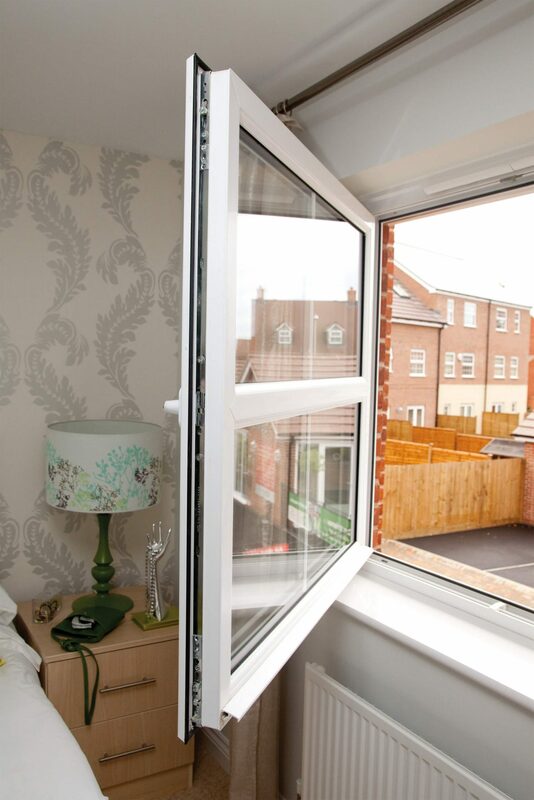 Our windows have an 'A' energy rating and improve the energy efficiency of your home, as well as saving you money on your heating bills by reducing the amount of energy you use. Keep unwanted noise outside your house where it belongs by opting for Emerald windows. 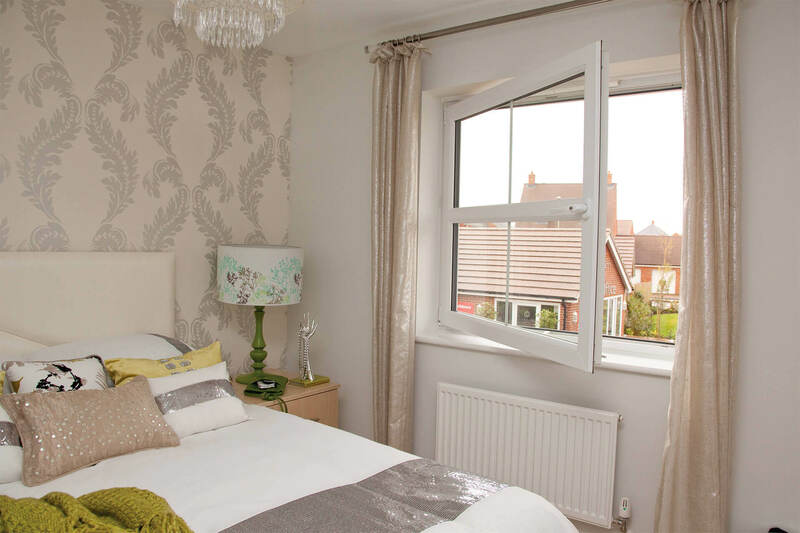 Our uPVC double-glazed windows ensure that you can enjoy peace and quiet in your home at all times. Our windows are manufactured from the highest quality materials that stand the test of time against all kinds of weather. They won't rot, rust or warp, no matter what the British climate throws at them!